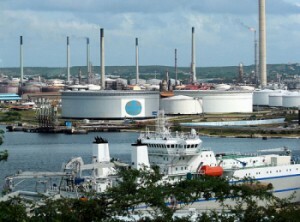 WILLEMSTAD - If the crisis in Venezuela continues the same current trend, the country may have to stop oil exports next year. To this end, EcoAnalitica warns in an overview of prospects for 2019. The quantity of crude oil each day won by the state decreased from 2.6 million in 2012 to 1.2 million in September 2018. A large part of the export is now used to pay off debts to America and China. The country has no more money to do so and this is why it now uses oil.